We aimed to investigate physical activity (PA) and risk of different histological subtypes of lung cancer according to smoking status and body mass index using repeated measurements in a large cohort of women in Norway. The study sample for the multiple imputation analyses consisted of 86,499 and for the complete-case analysis 80,802 women. Repeated measurements of PA level, smoking habits, weight, and height were available for 54,691 women (63.2%), who were included in repeated measurement analyses combined with multiple imputation to address attrition. Cox proportional hazards regression models were used to calculate hazard ratios with 95% confidence intervals. During a median follow-up of 12.9 years, 866 cases of primary lung cancer were identified. We found an inverse association between PA and lung cancer overall. The results were consistent from multiple imputed data analysis to complete-case analysis of PA and possible confounders. We observed a similar trend for adenocarcinoma, but not for squamous cell or small cell carcinomas. Our findings suggest a more pronounced association between lung cancer overall and PA levels in current and former smokers, and in normal-weight and overweight participants with increasing PA levels. The potential of a modifiable lifestyle factor as PA to reduce the risk of lung cancer independently of smoking status is important in public health. The online version of this article ( https://doi.org/10.1007/s10654-018-0446-0) contains supplementary material, which is available to authorized users. This project received financial support from the Norwegian Extra Foundation for Health and Rehabilitation through EXTRA funds, Grant No. 2012/2/0048-1220048001. Duan P, Hu C, Quan C, Yi X, Zhou W, Yuan M et al. 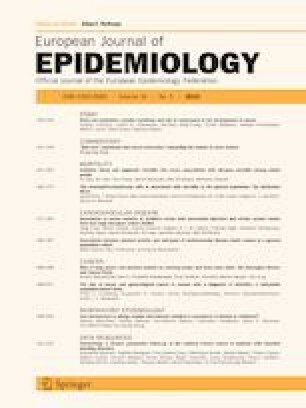 Body mass index and risk of lung cancer: systematic review and dose-response meta-analysis. Sci Rep. 2015;5:16938. https://doi.org/10.1038/srep16938. https://www.nature.com/articles/srep16938#supplementary-information. World Cancer Research Fund/American Institute for Cancer Research. Diet, Nutrition, Physical Activity, and Cancer: a Global perspective. Continuous Update Project Expert Report; 2018. http://www.dietandcancerreport.org. WHO. International statistical classification of diseases and related health problems 10th Revision. http://apps.who.int/classifications/icd10/browse/2015/en. 2010. Accessed 13 Nov 2017.